Nothing is more fun than vibrant pops of shimmery color, and now you can have them…with NO commitment! 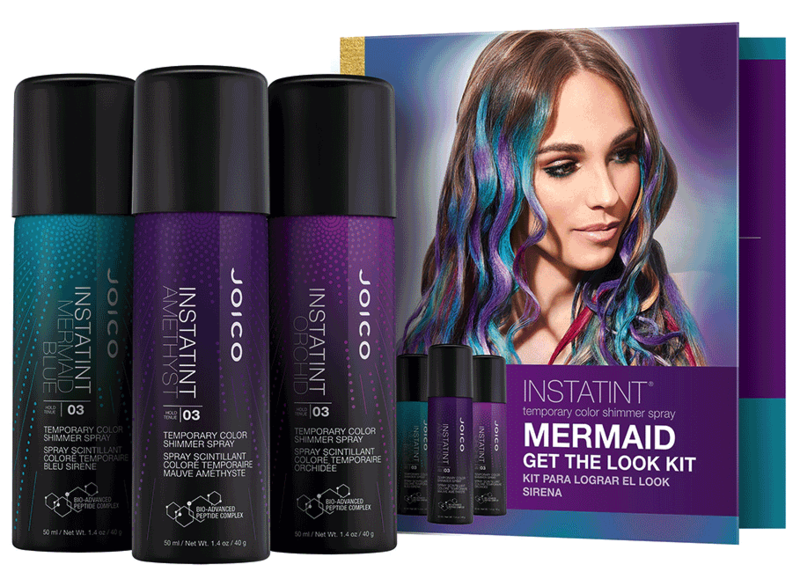 Introducing Joico’s InstaTint – it’s a zero commitment color in a can. Metallic shimmers collide with dreamy jewel tones, adding a touch of instant fun to any hairstyle. It’s great to spray on upstyles, braids or just individual strands of hair. Color lasts until you shampoo it out. Easily washes out with just one shampoo, so there’s never any commitment. You can be as daring & creative as you want with the colors. It has a precise nozzle for fun hair designs without the mess. Stays brushable with long-lasting hold. It’s super easy to apply. Just spray your fav color (or colors) about 8-12 inches away onto your dry hair, using short bursts. Allow the color to dry in between applications. The product can be layered to get the intensity of color you desire. Just remember to protect your clothing with an old towel while your spraying. Check out the video below and then stop in to pick some up at Tease for just $10 bucks!